This fine cut marmalade means you can have your cake and eat it. This fine cut marmalade means you can have your cake and eat it. With its combination of five fruits and fulsome zesty flavour there’s no need to choose between fruits, you can have them all – oranges, pink grapefruit, lemons, mandarins, and limes! 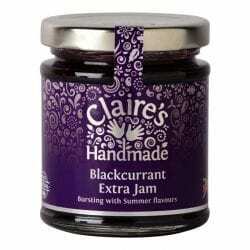 Perfect for all things you could ever want to do with marmalade, so go on be adventurous! Ingredients: allergens in bold. Sugar, bitter oranges 7%, pink grapefruit 7%, lemons 7%, mandarin 7%, limes 7%, gelling agent: fruit pectin, acidity regulator: citric acid. Prepared with 35g fruit per 100g. Total sugar content 63g per 100g. Oranges and lemons ...! Commended at the Dalemain World Marmalade Awards in 2016 and 2017. Crammed with Strawberries and Raspberries, and finished with ruby port. Thick cut orange marmalade with hints of festive spices and topped off with whisky.